The Obama administration has agreed to temporarily keep some federal money flowing into Texas to help hospitals treat uninsured patients, despite the state's refusal to offer health coverage to low-income adults. Those were the exact terms the Texas Health and Human Services Commission asked for last month. Agency leaders said the negotiations were a "big win for Texas." "We're pleased these innovative programs will have the opportunity to continue," Chris Traylor, the agency's executive commissioner, said in a statement. "These programs are improving health care for Texas' Medicaid clients and creating cost-savings for taxpayers." The agreement temporarily extends the life of what was supposed to be a temporary program that safety-net hospitals have relied on for five years to serve poor, uninsured Texans. 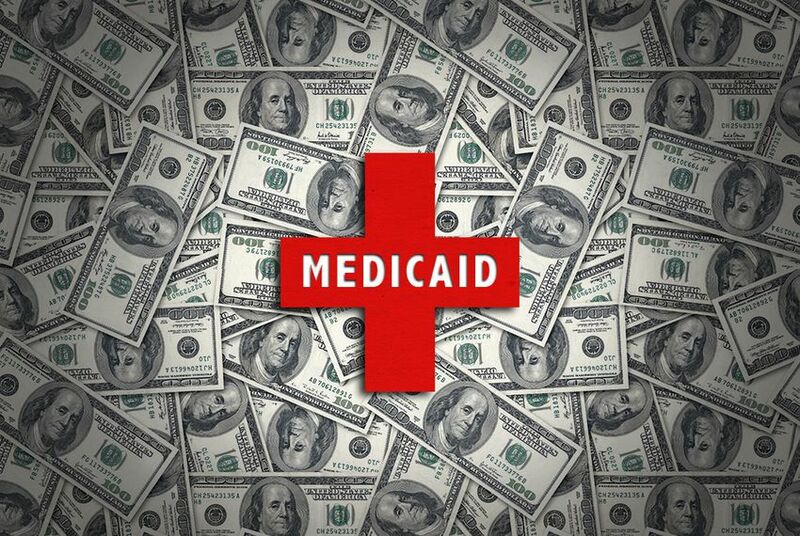 Federal health officials had signaled they were reluctant to continue handing out cash to reimburse hospital visits when that money could instead pay for low-income Texans to have health coverage under a Medicaid expansion. Still, the agreement does not include a reduction in the uncompensated care money, allowing hospitals to draw down some $3.1 billion in federal and local funds each year. A $29 billion pot of money paid to Texas health care providers over five years, about 40 percent of that money came from local funds — mostly property tax dollars — and 60 percent from the federal government. The Obama administration first approved the program in 2011, and it was set to expire in September. The program initially offered $17.6 billion to reimburse hospitals for the uncompensated costs they accrued by caring for patients who could not afford to pay. Another $11.4 billion paid for certain health care initiatives that provide cost-effective care to high-risk populations, under a program known as the Delivery System Reform Incentive Payment model, or DSRIP. The Obama administration had previously signaled it was likely to stop footing the bill for at least some of Texas’ uncompensated care costs. Under the Affordable Care Act, the president’s signature health law, Texas was encouraged to expand its Medicaid program to cover nearly 1 million additional adults living in poverty — a move that would have given more poor patients a means to pay for care. The state’s Republican leadership has vehemently opposed that option, criticizing Medicaid as an inefficient government program. In Florida, the Obama administration recently agreed to extend a similar source of hospital funding in that state, but only for two years, and at a significantly reduced rate. That arrangement diminished the state’s low-income pool by about 50 percent for the first year and 70 percent for the second. Texas health officials say they will continue negotiating a longer-term extension of the funding over the next 15 months. Those negotiations will likely be influenced by a study of the effectiveness of the uncompensated care pool, which the federal government asked Texas to commission. The Texas Health and Human Services Commission contracted with outside firms Health Management Associates and Deloitte to submit the study by the end of August. It will address questions such as how hospitals' uncompensated care costs would be reduced under a Medicaid expansion. If Texas and the federal Centers for Medicare and Medicaid Services do not reach an agreement at the end of the 15-month extension, in December 2017, the Obama administration said it "expects" that uncompensated care funding would be reduced after that. "Specifically, the reduction will limit the size of the Uncompensated Care pool to the costs of uncompensated and charity care for low-income individuals who are uninsured and cannot be covered" under a Medicaid expansion, wrote Vikki Wachino, a senior federal health official, in a letter to the Texas Health and Human Services Commission. Traylor has said negotiating the waiver's extension was one of his primary policy goals as commissioner. He is retiring at the end of May. John Hawkins, the senior vice president of government relations for the Texas Hospital Association, said the negotiations were a "positive development" that will give state officials more time to study how Texas' high rate of people without health insurance affects hospitals' uncompensated care costs. "Certainly, the waiver is a pretty key element of the safety net," he said. "This extension gives us a little time to deal with some of the outstanding issues that are out there." Advocates for the uninsured welcomed news of the waiver's extension but said the state should use the additional 15 months to study how it could offer health insurance to more Texans. "A lot has changed since Texas first asked Washington for this waiver funding in 2011, and now the federal government is focused on getting people insured, rather than paying hospitals back for bills for the uninsured," Anne Dunkelberg, associate director of the left-leaning Center for Public Policy Priorities, said in an email. Disclosure: The Texas Hospital Association, Deloitte and the Center for Public Policy Priorities have been financial supporters of The Texas Tribune. A complete list of Tribune donors and sponsors can be viewed here.